howard greenberg gallery | owl's house london. An exhibition of Saul Leiter’s wonderful imagery, capturing everyday moments on the streets of mid-century New York, is now showing in London. I previously wrote about his charismatic photographs here, as well as his colourful paintings, here. 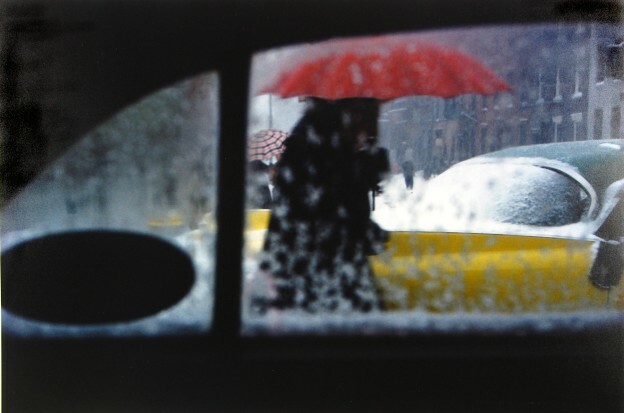 Saul Leiter: Retrospective, The Photographers’ Gallery, 16-18 Ramillies St, London W1F 7LW, until 3 April 2016. This entry was posted in happenings., in the gallery. and tagged howard greenberg gallery, Photographers' Gallery, photography, Saul Leiter on March 10, 2016 by owls house london.. This entry was posted in bits + pieces. and tagged Hackelbury Fine Art, howard greenberg gallery, New York, photography, Saul Leiter on November 29, 2013 by owls house london..
Saul Leiter has documented the world around him, capturing New York mid-century, with his beautiful colour and black-and-white photographs (see my previous post, here). But throughout his life he painted, too, and both media are on show at Hackelbury Fine Art in London (now until 27 July 2013). ‘Sometimes I wake up in the middle of the night and I reach over to one of my 30 books on Bonnard… if I can’t find the one I want, I go out and buy another copy’. The documentary ‘In No Great Hurry: 13 Lessons in Life with Saul Leiter’ is being shown at Open City Docs Fest in London on 21st June, and at the ICA on the 27th June. The film is an absolute delight, with Saul Leiter as the reluctant, but utterly beguiling, protagonist. More in the gallery, here. This entry was posted in happenings., in the gallery. 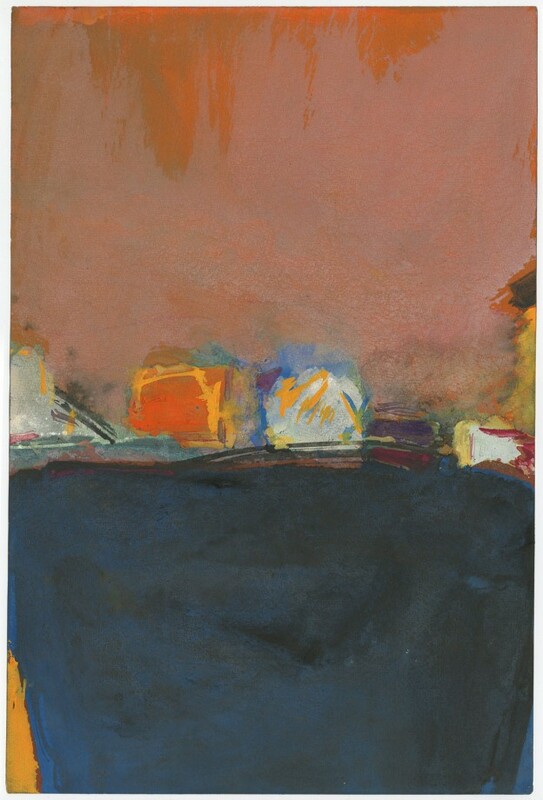 and tagged art, Hackelbury Fine Art, howard greenberg gallery, ICA, In No Great Hurry, paintings, photography, Saul Leiter on June 20, 2013 by owls house london..
You might not have heard of Saul Leiter. 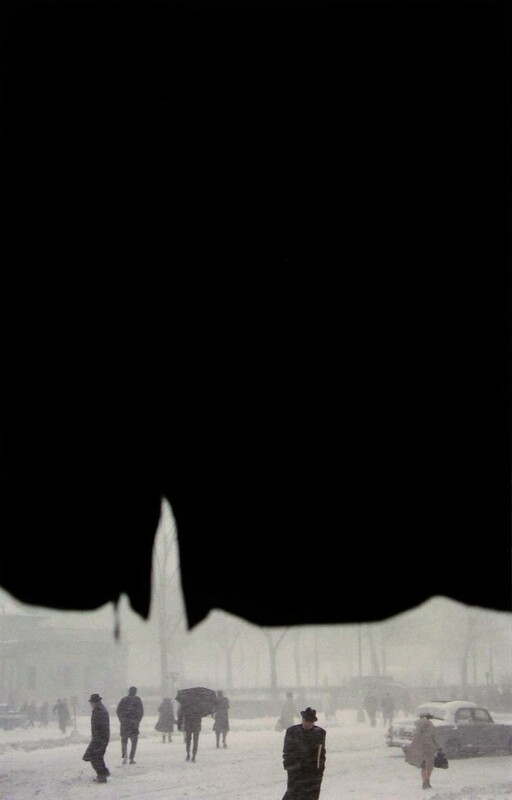 His photographs are amongst the most striking I have seen – abstracted imagery and exquisite composition. They capture and document urban life in mid-century New York. His photographs and paintings are the subject of a new exhibition at Hackelbury Fine Art in London and I attended the opening last night. Leiter was an early pioneer of colour photography, yet he was never driven by the lure of success. His intention was always to be a painter. He started shooting colour and black-and-white street photography in New York in the 1940s. He had no formal training in photography, but his early work was included in two important shows at MoMA in the 1950s, and he became a successful fashion photographer in the 1950s and 60s. 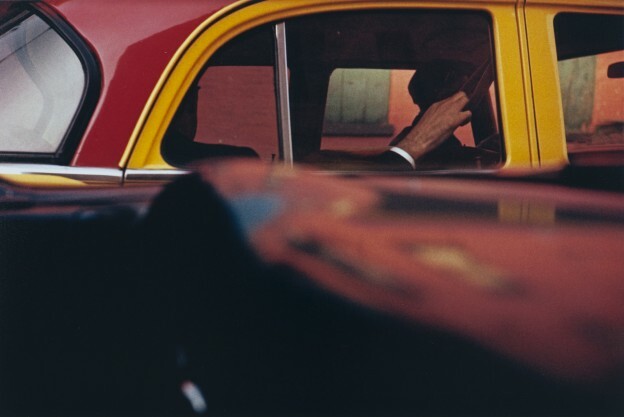 Leiter’s personal colour photography remained, however, out of public view. He printed some of his black-and-white street photos, but kept most of his colour slides hidden away in boxes. 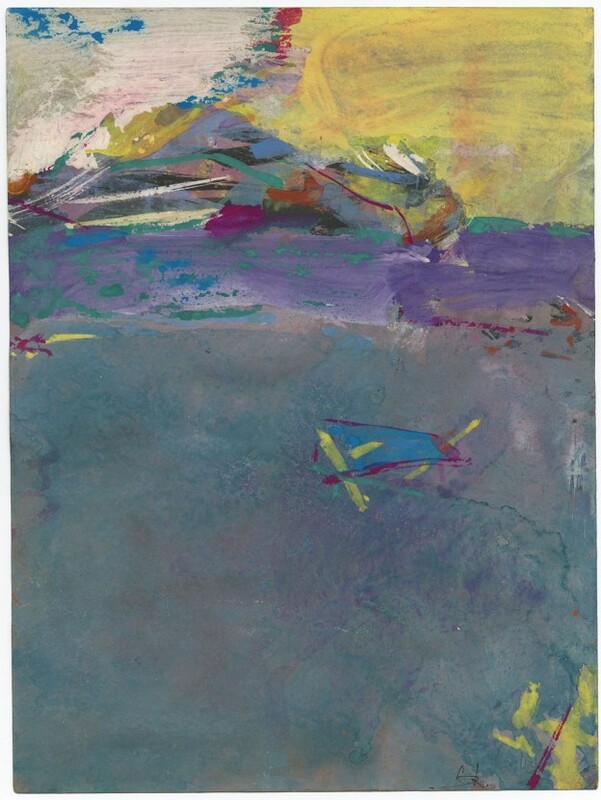 It was only in the 1990s that he began to look back at his colour work and start to make prints. 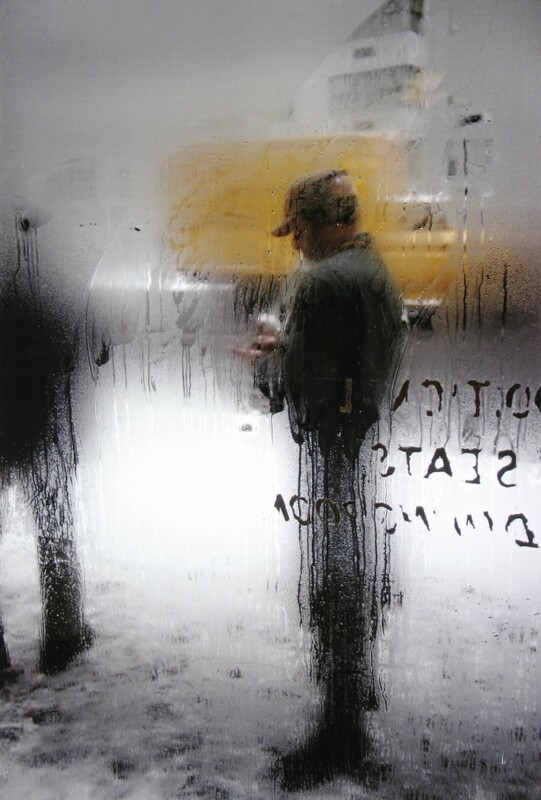 I saw an utterly captivating film about him recently on BBC4 – In No Great Hurry, 13 Lessons in Life with Saul Leiter (also being shown at the ICA on the 27th June; details, here). It shows Leiter, who will turn 90 this year, in his studio, existing ‘on the periphery of the art world’, while simultaneously being widely regarded as one of the pioneering visions of colour photography. In No Great Hurry explores this contradiction of fame versus impact, with Leiter as the unwilling subject. Throughout his life he continued to paint. The parallels between his photography and his painting are immediately evident. The exhibition at Hackelbury shows both media, and it is wonderful to see the paintings and photographs side-by-side. It is also exciting to see the photographs I know so well in the flesh. Smaller than I imagined, but intentionally so; one peers in, then becomes instantly drawn in to his world. ‘The ochres and reds of a passing taxi, the patterns of out of focus lights in Times Square, such details often find their equivalents in both the colour and form of particular paintings. Equally the delight in multiple layers of paint and texture can be seen in many of his exquisite street shots, which frequently use windows and mirrors to frame, veil, and abstract’. Philosopher and art historian Nigel Warburton interviewed Leiter, and has written this on the exhibition (and quoted, above). What do you think of Saul’s photographs? 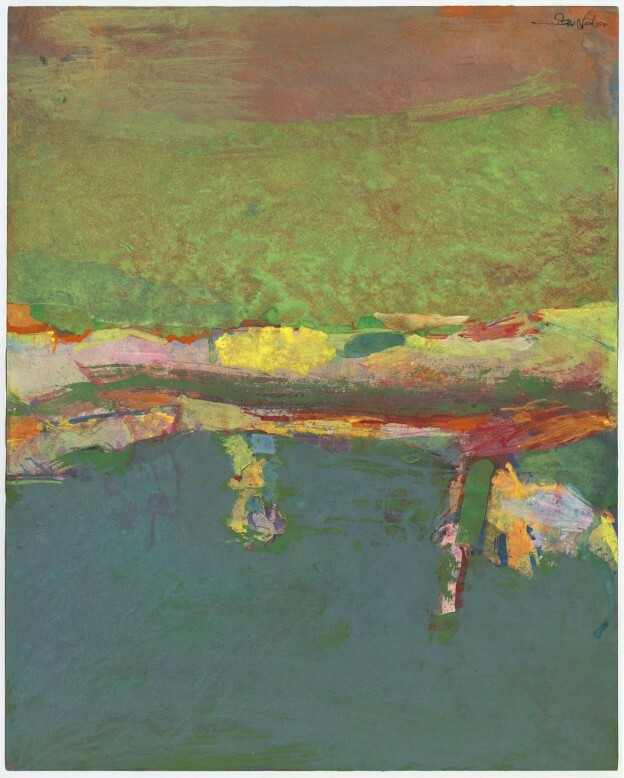 Next week – his paintings and more on the current exhibition. Images courtesy of Hackelbury Fine Art. This entry was posted in happenings., in the gallery. and tagged arts, Hackelbury Fine Art, howard greenberg gallery, photography, Saul Leiter on June 7, 2013 by owls house london..